hessnatur stands for the unison of fashion and ecological responsibility. Up until now, the company focused on the mail order business; in future, it also concentrates on the positioning in the stationary retail. For that reason the Stuttgart-based design office Blocher Blocher Shops developed a sustainable store concept which debuted in Frankfurt, Germany. 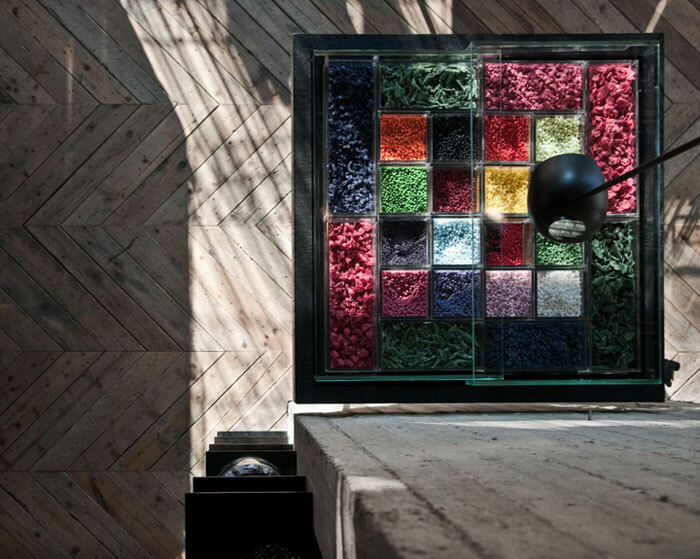 This first, 200 square metre dependence already impressively proved how perfectly nature fashion, modern aesthetics and future-oriented technology go together. Frankfurt. Terms like „environmentalism“ or „ecological responsibility“ have reached the centre of society long since. Thanks to pioneers like hessnatur which has paved the way for sustainable products since its foundation in 1976 – long before sustainability debates dominated the political and societal agenda. Now again, the nature fashion brand and the designers of Blocher Blocher Shops turn out to be forerunners and connect ecological responsibility with modern aesthetics. 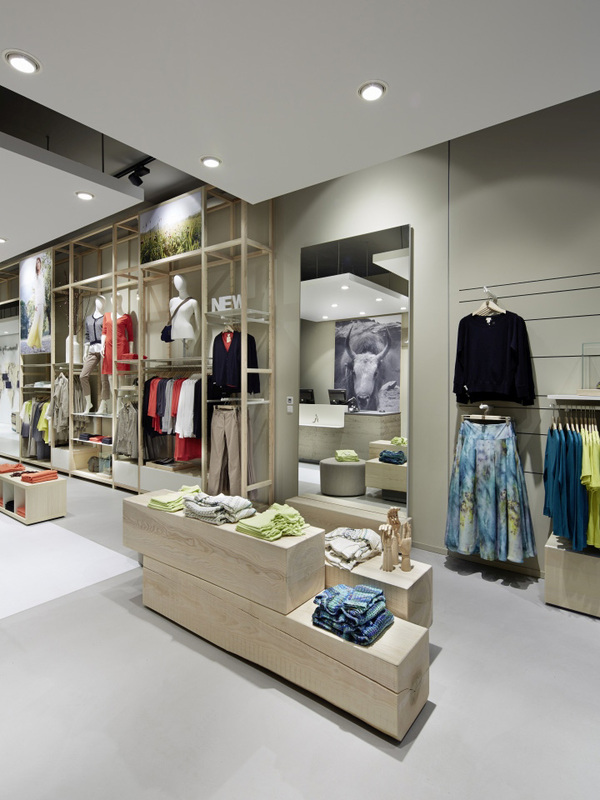 The interior designers from Stuttgart have perfectly translated the values of the company into the store: wood, bright beige walls, fresh green and white metal define the shop aura which emphasizes the high-quality goods and sustainability messages thanks to its reduced design. The planers took advantage of the long and narrow layout of the heritage-protected building to guide the customers on their journey trough the world of hessnatur. For hessnatur nature is more than just a word. 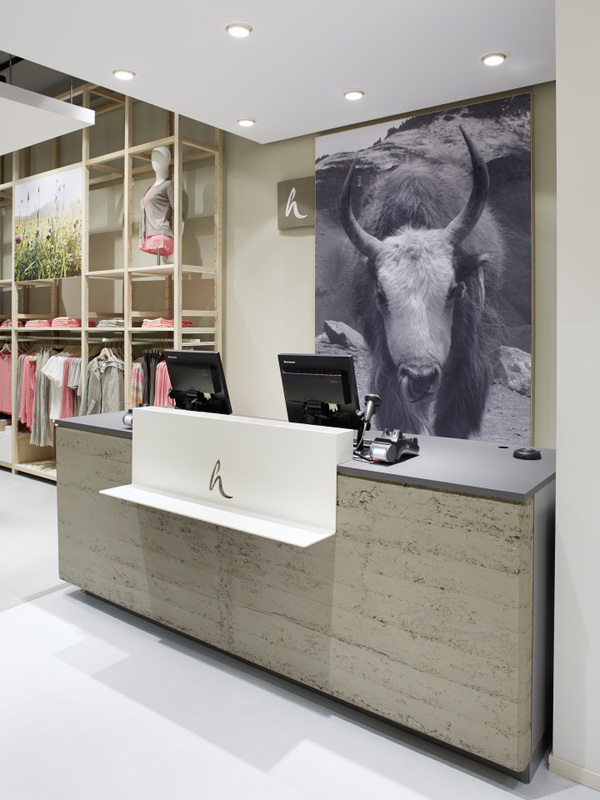 The new store concepts commits to ecological sustainability with every fibre. The materials match the strong guidelines of the company. Plastic is taboo. 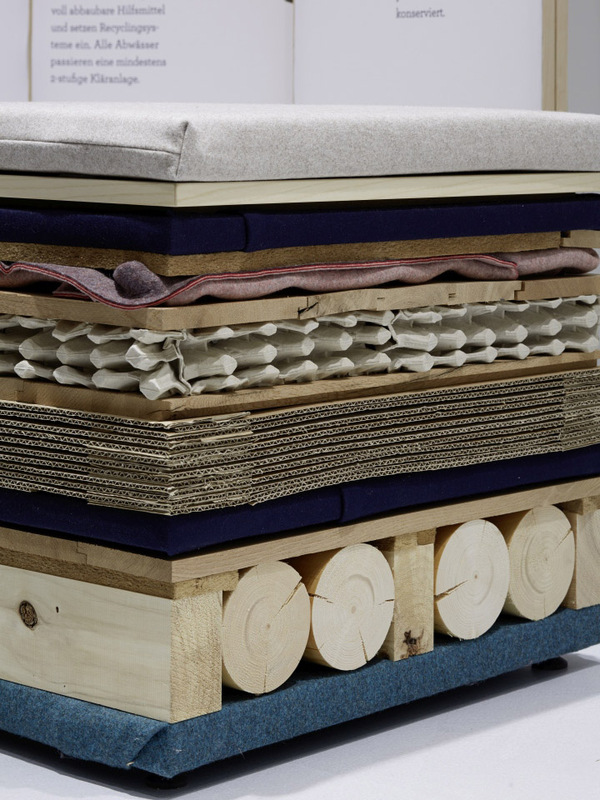 Instead, all materials originate from sustainable, regional cultivation and can be recycled. This is the requisite for authentically staging the brand. Which becomes especially evident in the so-called hessnatur world. The heart of the store stands out with its suspended white panel under the otherwise dark ceiling. The checkout counter: a cube made of rammed clay whose layers tell from its origin in different regions. According to the cradle-to-cradle principle it simply can be returned to the soil. The stools in the lounge do also have their own story: they were assembled from shopfitting leftovers like felt or newspapers. Thereby the furniture corresponds to a maxim which also underlies the collections of hessnatur: all production stages must be transparent and easily comprehensible. An arrangement of wooden lamellas makes informations and stories of the brand and its products tangible. Next to it the virtual pendant: a large world map where the individual production stages are shown on monitors. Where does the cotton for hessnatur come from? How examplary are the production conditions abroad? Here, the customers learn more. As they do at the touchscreen terminal (of course with an integrated wooden keyboard) and the tablet station where products can be sought in interactive catalogues and then ordered home. Additionally, an smartphone app allows in future to directly interact with the merchandise via augmented reality – to learn more about the products and their components. This is how the customers are addressed via all channels and how the world of hessnatur becomes understandable and tangible. An approach that goes into multiplication. 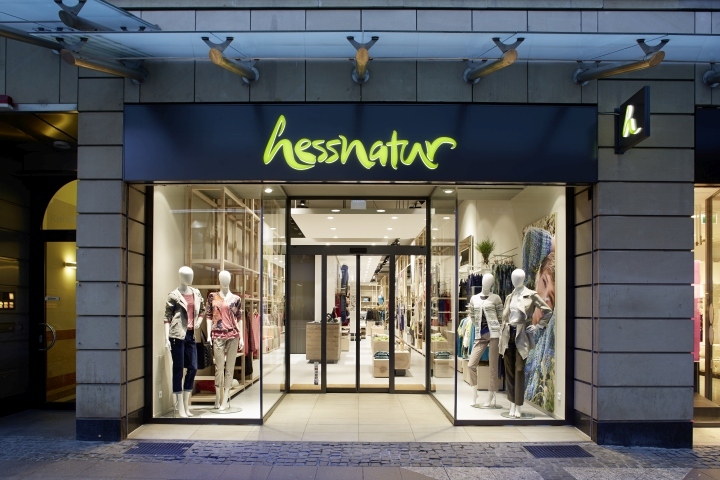 In April, the opening of the next hessnatur store follows in Düsseldorf. hessnatur nominated for A.R.E. Design Award.